Purdy brushes are designed, formulated, blended and hand-crafted for maximum painting performance using the highest quality materials available. Each step in our production process from formulation to finishing represents a standard for hand craftsmanship and quality unmatched in the industry. For a brush that does it all, choose the popular and versatile XL Series from Purdy. Medium Stiff Nylon/Polyester filament blend designed for all paints and stains. 2 in. 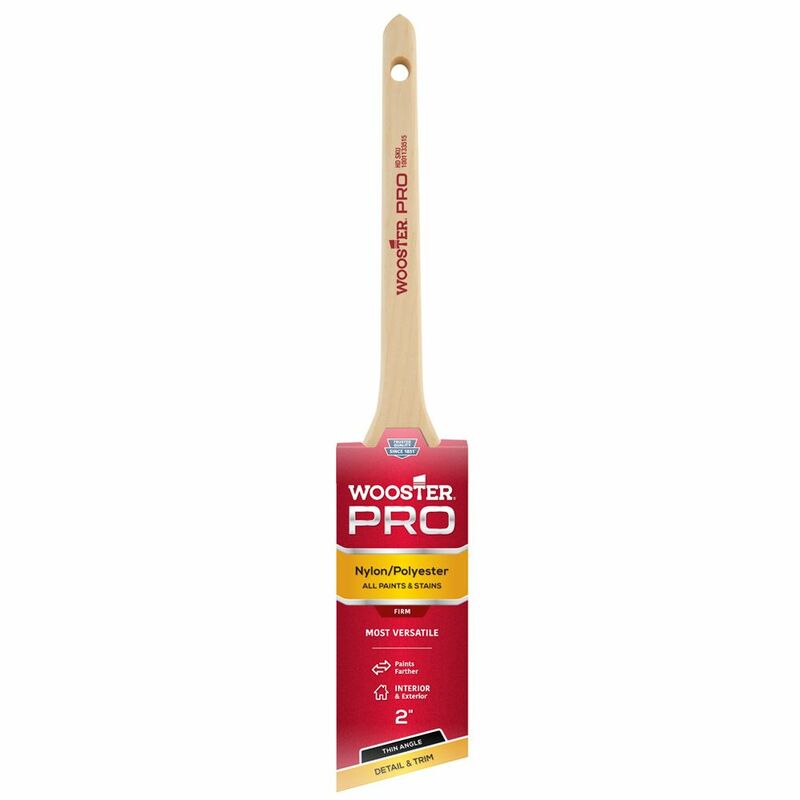 (50mm) Wooster Pro Nylon/Polyester Thin Angle Sash Brush Wooster Pro Nylon/Polyester paintbrushes are made with the very best materials. This unique filament blend was formulated to deliver smooth flow and carry more paint to the end of the brush for fine finishes while achieving it fast. They are designed to provide control and produce sharp lines making these brushes ideal for cut-in work and precision painting.